Sushi Socks Box: Tray of socks styled like a take-away sushi platter. Two things that ought to be fresh: the tuna you're about to eat and the styles you wear. 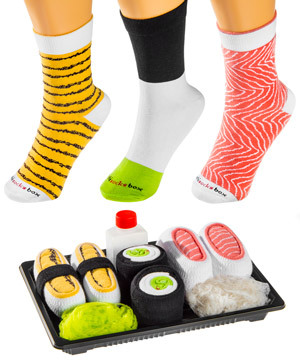 The Sushi Socks Box includes three pairs of socks rolled to look like a tray of sushi. 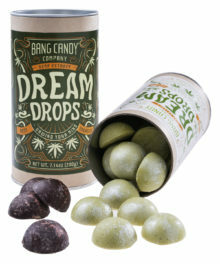 The effect is amplified with extra cotton garnish and even the same faux seaweed found in sushi trays. Once you unroll your sushi, you'll discover that each piece is a funky footwear printed with a power pattern. And since you don't want your feet to smell like dead fish, the only fish you’ll find are on the striking seafood-themed patterns. 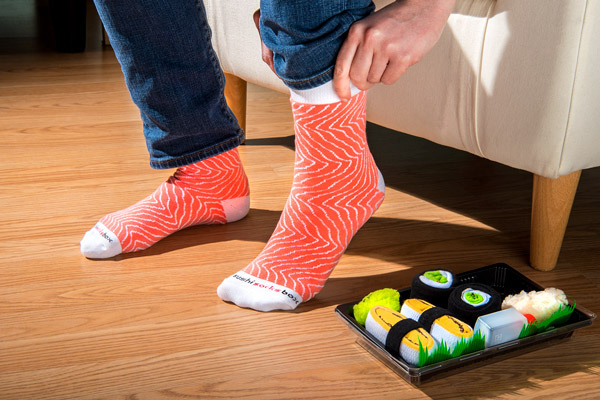 Start looking as fresh as raw fish with the Sushi Socks Box. The takeaway container features three pairs of sushi-styled socks, including salmon nigiri, tamagoyaki, and cucumber maki. Once you've admired the clever packaging and unrolled the hosiery, you've got three new pairs of fun socks to wear! Do not eat sushi socks. 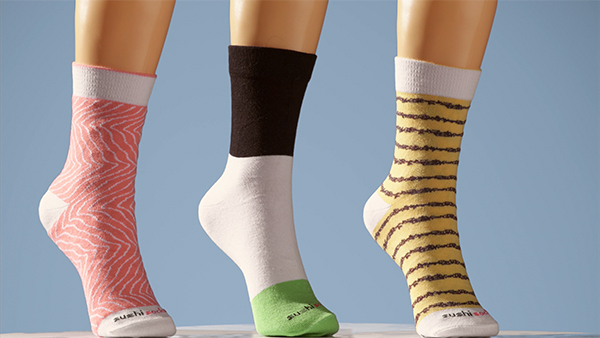 The Sushi Socks Box contains six pieces of sock-sushi that unroll to become three different pairs of foot accessories. The styles are salmon nigiri (pink fish over rice), tamagoyaki (cooked egg), and cucumber maki (seaweed rolled rice filled with vegetables). 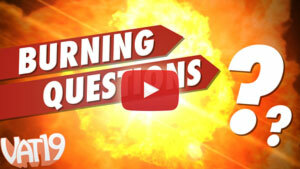 Question: What's in the squeeze bottle? Answer: The squeeze bottle represents the soy sauce that would accompany a takeaway tray of rice and fish. 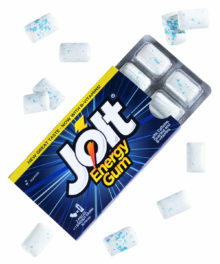 However, since these are socks, the squeeze bottle is just decoration. Likewise, the thread representing wasabi and pickled ginger are just there for to make it look like a plate of Japanese food. 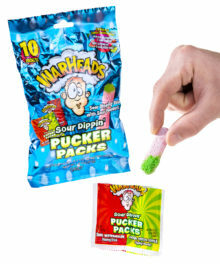 Answer: Yes, once you've removed them from the bento, you can treat these like all your other machine-washable fun socks.